(MoneyWatch) For several weeks, investors have been waiting for the S&P 500 to set a new record, and on Thursday it finally didn't disappoint, surging 6 points to end the day at 1569. The widely watched index of large-cap stocks rose to its new high despite worries about an implosion in the eurozone, middling economic data here at home and the specter of stealth warplanes making a statement over the skies of South Korea. The previous all-time closing high for the S&P 500, a broader gauge of stocks' performance, was 1565.15 on Oct. 9, 2007. Before today's trade, the S&P had gained nearly 10 percent this year. The Dow Jones industrial average, which ended the day at 14,578, has also consistently moved higher since eclipsing its previous mark of 14,165, set on the same date more than five years ago. The index, which tracks shares in 30 large companies, is up 11 percent this quarter, its best performance in more than a year. The Nasdaq finished up 11 at 3,267. Stocks continued their upward drift this week after Cyprus struck a deal with international lenders that avoided a possible collapse of its biggest banks, but which still left many observers worrying that the problems could spill over into Spain, Italy and more peripheral eurozone countries. At home, mildly positive economic signals have aided stock prices, including a more than 8 percent jump in home prices in January from year-ago figures, strong corporate earnings and rising factory orders. The Federal Reserve has also showed little sign of ending its policy of keeping interest rates low as a way to stimulate the economy. While there has been a consensus view that stocks are awaiting a pullback, many analysts still consider the market fairly priced and ready to make gains. "The important thing is that the S&P at this new high is a much cheaper S&P than when we were here before," said Art Hogan, chief market strategist at Lazard Capital Markets. He noted that the price-earnings ratio for the index is about 14, while over the longer term, it has averaged 16.5. "Is that overpriced? I think we're reasonably priced. The problem is we got here in a straight line." He said many big investors are waiting for stocks to take a dip before they buy back into the market. Ed Yardeni, president and chief investment strategist for institutional investor advisory Yardeni Research, thinks another factor is boosting stocks: The so-called best house in a bad neighborhood phenomenon. With the eurozone in severe economic distress and uncertainty in other parts of the world, the U.S. provides a relative safe haven for wealthy investors. "Nowadays, while Washington is debating immigration reform, the world's wealthy elite are coming to America and putting more of their money here for safekeeping," he said in a research note. 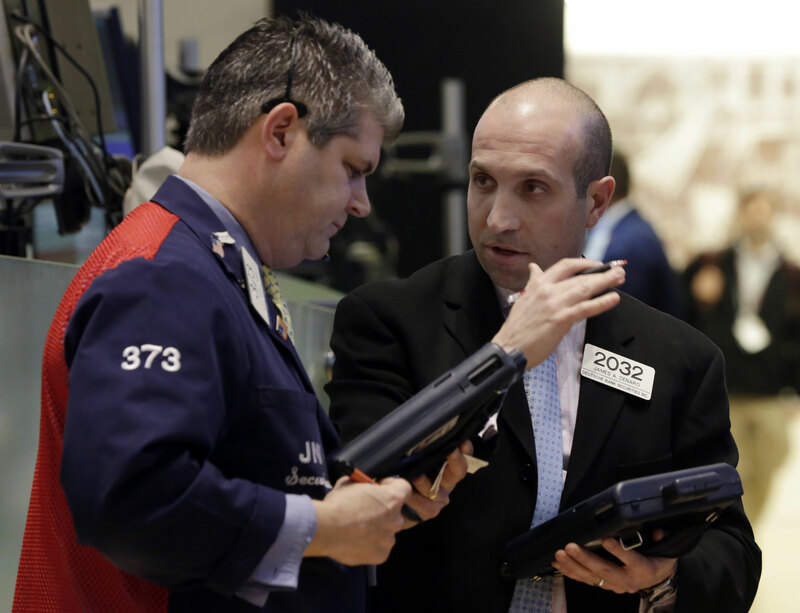 "This certainly would explain why U.S. stocks have been rising to record highs this year.... It explains why the latest bad news out of Europe seems to boost rather than depress stock prices in the U.S."
Are U.S. and European economies decoupling? Can the stock market rise while the economy stalls? The surge in financial markets in recent months appears to have had only limited benefits for the broader economy. The U.S. economy in the final three months of 2012 grew an anemic 0.4 percent, down from 3.1 percent in the previous quarter, the U.S. Labor Department said today. Although GDP for the period was revised upward, from an initial estimate of 0.1 percent, the slow growth underscores the weak level of demand in the economy. Although job-creation has picked up in recent weeks, it remains too low to significantly bring down inflation from its rate of 7.7 percent. Some experts also warn that the unusually warm weather this winter may have boosted hiring in early 2013, which means employers may bring fewer people aboard in later months.